Emma's smile was wide as she glided through the three rooms that together represented her one-day installation, "Meraki." Created with partitions and a liberal use of black paper to cover a wall of windows, Emma's vision stretched out along a narrow hallway at The Masters School in Dobbs Ferry, N.Y., from which she will soon graduate. 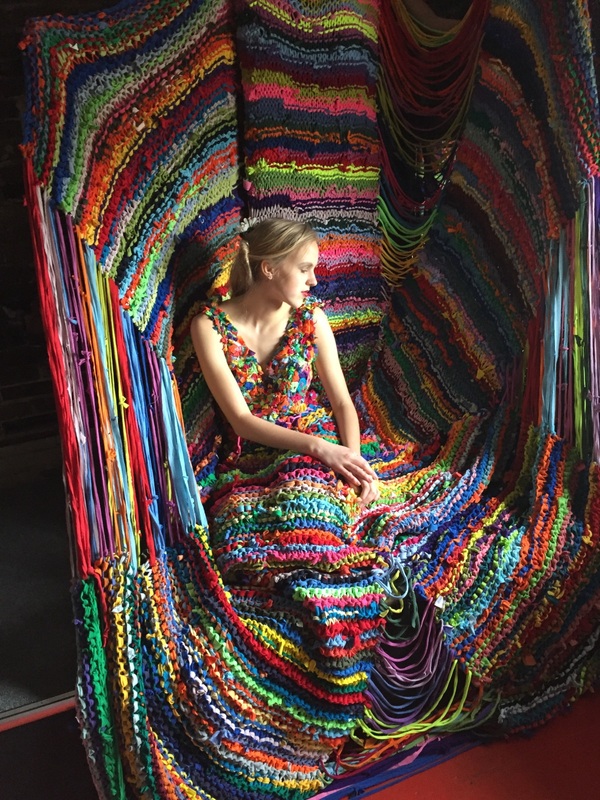 The many disciplines that have captured her attention and talent had the spotlight, from fashion and design to art and music, in this her senior project. And, as much as the installation was the reflection of its creator, its true expression and intent became manifest with the participation of the many guests who visited. Whether it was a mirror where one was encouraged to take a marker and write down one's traits or a brightly colored wall that served as a canvas for happy and optimistic sayings or compliments, Emma had hoped to provide canvases for guests to interact. 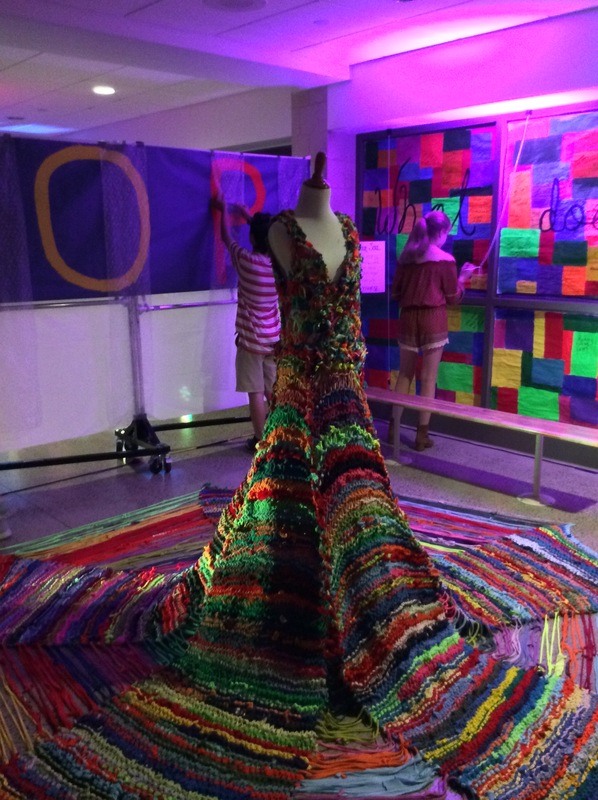 "I'm so happy so many people came," she said, while standing next to the show-stopper of the show -- a dress made entirely of strips of t-shirts, the skirt of which fanned out across the ground like a web. Emma, who is in the Junior Fashion Design Academy at New England Fashion+Design Association's White Plains, N.Y., location., also included several other pieces from her collection she created in the program.